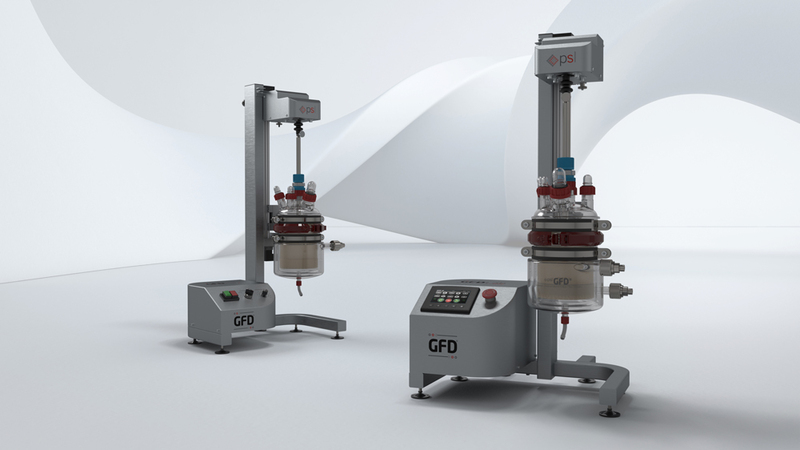 The latest additions to the GFD® range from Powder Systems Limited provide users with a greater choice of configuration including vessel capacity, automation and a price to suit every budget. 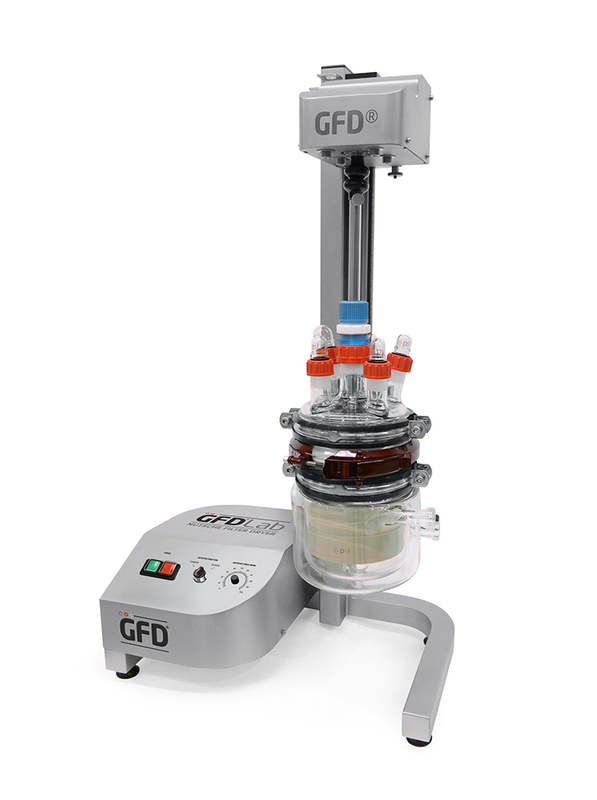 The GFD® Filter Dryer is an innovative piece of laboratory synthesis equipment, working under vacuum and a maximum pressure of 4 barg (58 psi). The vessel has a heated jacket for efficient drying and a unique removable filtration basket for ease of product collection. The GFD range now comes in two product categories with the GFD®Lab and the GFD®Lab PLUS. Both offer the unique features of our Lab Filter Dryer but adaptable to suite your own requirements. Agitated Nutsche Filter Drying (ANFD) is a batch filtration technique using vacuum and/or pressure in a closed vessel. The filtration technique uses PSL’s distinctive agitator design for excellent cake agitation in applications such as dye, paint, silicon, waste water treatment and pharmaceutical production. The GFD® Filter Dryer overcomes challenges with commonly used methods of Buchner filtration and oven drying. 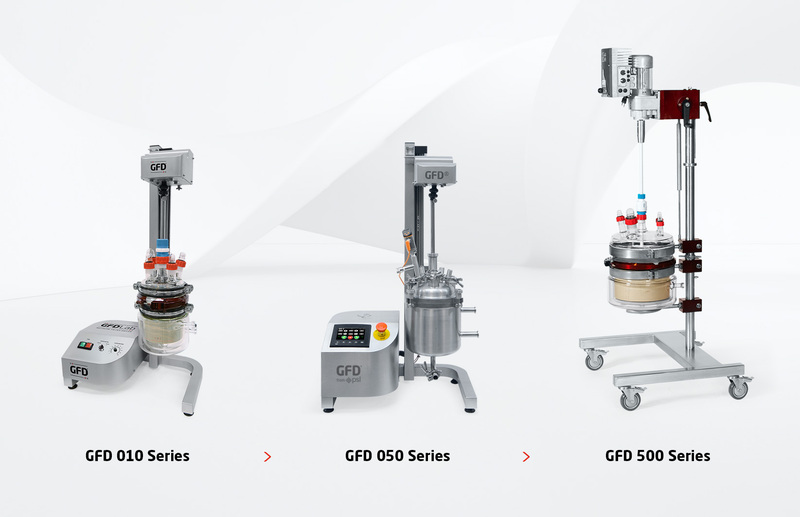 Ideal for running feasibility studies and trials, the GFD® efficiently performs laboratory process development, with direct scale-up to pilot plant scale and commercial production. 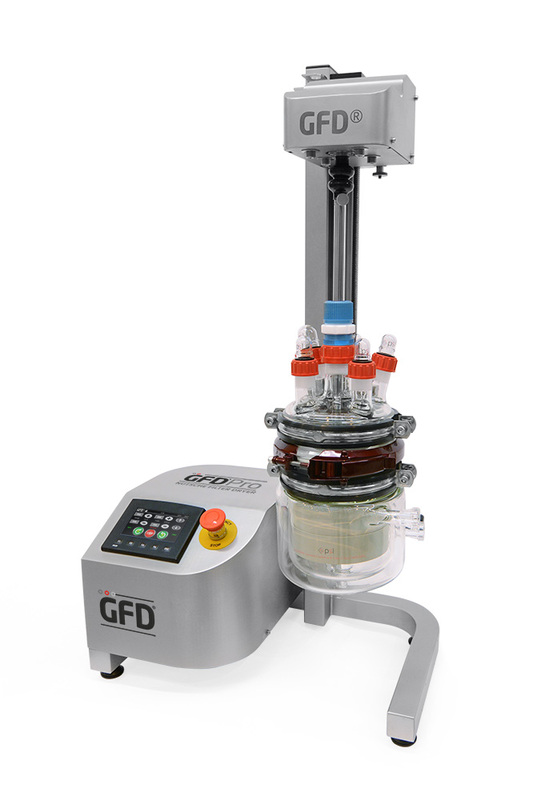 The GFD® can be integrated in fume hoods while maintaining good process visibility, batch homogeneity and reduced product exposure. The GFD®Lab PLUS retains all the same great features and benefits as the GFD®Lab, while also featuring full automation capability with the addition of a 4.3″ wide-aspect HMI/PLC. This addition gives the operator peace of mind when it comes to accurately and precisely reproducing their process, thanks to the built-in recipe input and sequencing. The vessel is available in glass Borosilicate or metallic options for higher pressure. A range of filtration material and porosities are also available to meet your needs.